In these wildly imaginative, devilishly daring tales of the macabre, internationally bestselling author Mariana Enriquez brings contemporary Argentina to vibrant life as a place where shocking inequality, violence, and corruption are the law of the land, while military dictatorship and legions of desaparecidos loom large in the collective memory. In these stories, reminiscent of Shirley Jackson and Julio Cortázar, three young friends distract themselves with drugs and pain in the midst a government-enforced blackout; a girl with nothing to lose steps into an abandoned house and never comes back out; to protest a viral form of domestic violence, a group of women set themselves on fire. But alongside the black magic and disturbing disappearances, these stories are fueled by compassion for the frightened and the lost, ultimately bringing these characters—mothers and daughters, husbands and wives—into a surprisingly familiar reality. 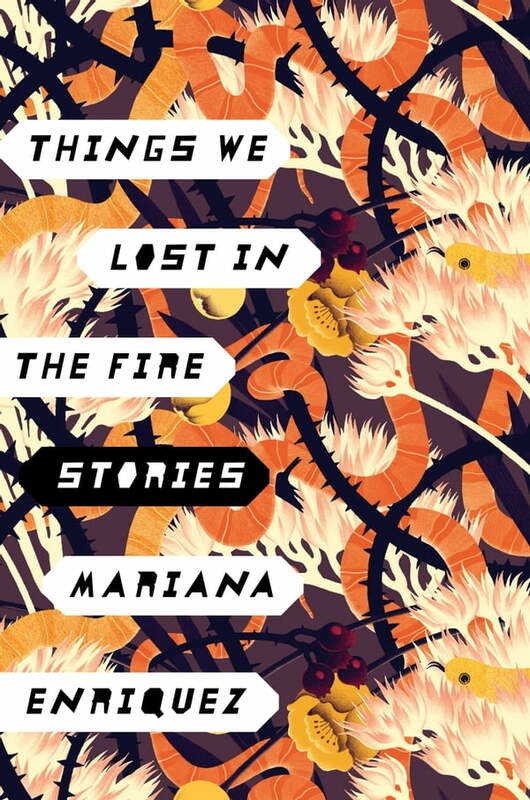 Written in hypnotic prose that gives grace to the grotesque, Things We Lost in the Fire is a powerful exploration of what happens when our darkest desires are left to roam unchecked, and signals the arrival of an astonishing and necessary voice in contemporary fiction.